Your roof is undoubtedly one of the most important structures in your home. It not only helps to keep you warm and dry, it also supports other areas and ensures they are protected. An issue with your roof could lead to issues with other areas of your home, a reason why you need to have roofing issues addressed right away, and by the right roofing company in Toronto. Attempting to do the work yourself, hiring an unqualified contractor, or choosing a roofing company on a whim could lead to additional issues down the road, let alone not properly repairing your current roofing issue. At C Plus Roofing, we understand the important role a roof plays and we are dedicated to helping you ensure your home is completely cared for. 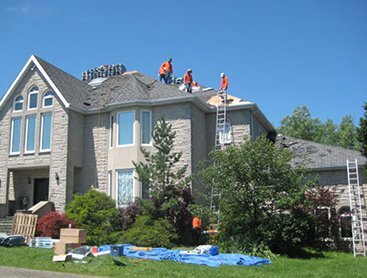 We understand that roofing repairs and replacements can be expensive and we provide you with a trusting advisor, stand by our exceptional workmanship, and ensure you get the most value for your money when choosing a roofing contractor in Toronto, or anywhere else in the Greater Toronto Area. These are all things you can expect when you choose us! 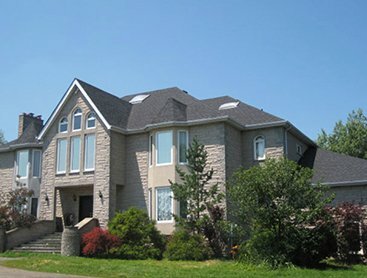 Why Hire C Plus Roofing As Your Roofing Company In Toronto? We offer 24/7 customer service – because we know roofing issues can happen anytime! 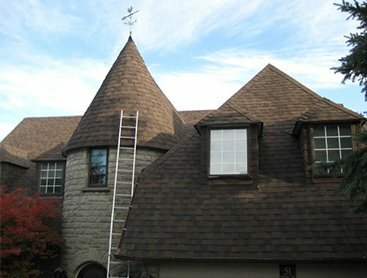 Looking For A Toronto Roofing Company? Call Us Today! Your first step to repairing or replacing your residential roof is to contact us to get a free project estimate. We offer all our customers a free roofing estimate so we can assess your roof, discuss your options, and provide you with a pricing quote. Contact us today if you are searching for a roof company in Toronto. We look forward to doing business with you.